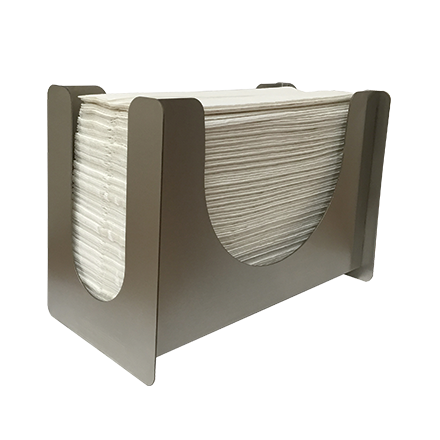 The Vanity Top Paper Towel Holder unit is fabricated of type 304 stainless steel alloy 18-8. It has the capacity to hold 250 C-fold or 350 multi-fold standard towels. Unit is 16 gauge.